In the Studio, c. 1950s. 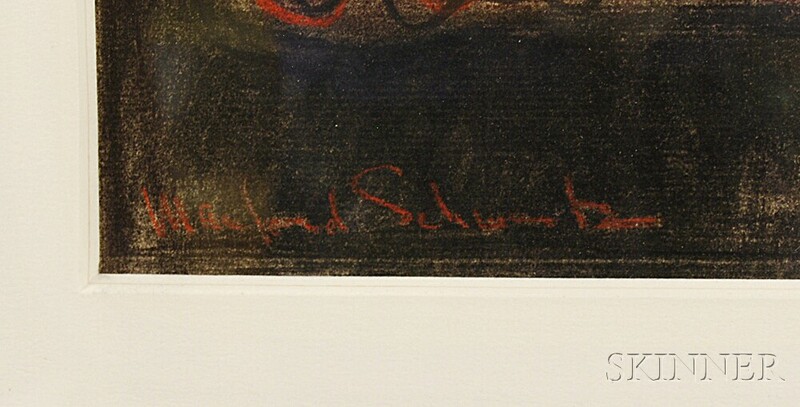 Signed "Manfred Schwartz" l.l. Pastel and charcoal on paper, sight size 10 5/8 x 15 1/8 in., framed. Condition: Not examined out of frame.